While many athletes use Best Bike Split to see what kind of times they can expect for a given course in specific conditions, there is actually much more that BBS has to offer. One of our latest pro athletes and former riding buddy Lauren Barnett and her Coach Matt Smith epitomize the ideal use of BBS. 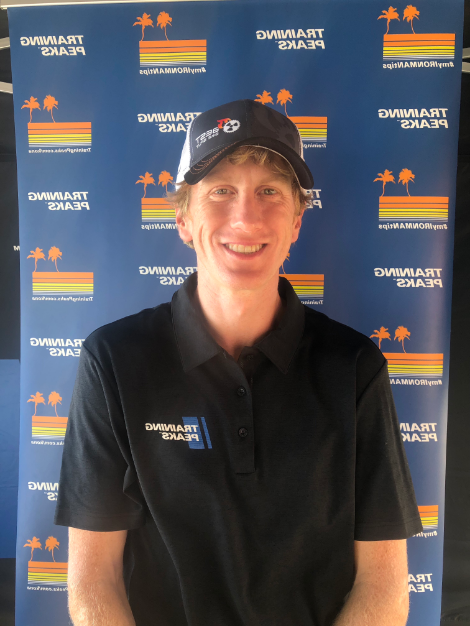 They use the app not just to see what type of times Barnett might be able to turn in, but to plan strategy, execute specific course training indoors, look at equipment choices, and refine inputs post race. Barnett turned pro only a year ago and has been turning heads with her cycling and running ability. This year she is racing the 70.3 World Championships in Austria, a course that will really test athletes on the bike, courtesy of a 9 mile steady climb with some steep gradients towards the end. To prepare herself for the course and conditions, Barnett turned to BBS to fine tune her strategy, train for the climb, and refine equipment choices. Barnett and Smith have been using BBS all season to really fine tune the inputs into the model. Earlier in the year Barnett raced at 70.3 Raleigh. Her BBS model for the course had her riding a 2:18:26. Her power file from race day shows that she rode in at 2:18:54, the fastest bike split of the day. Barnett backed the bike up with a solid run and placed second overall. While extremely powerful, the model follows a “good data in equals good data out” construct. Barnett had an advantage over most by knowing her baseline drag profile having recently been to the wind tunnel. That being said, often the wind tunnel represents the “best possible” drag numbers, but once an athlete gets out into the real world, drag can be a bit different than the controlled tunnel environment. 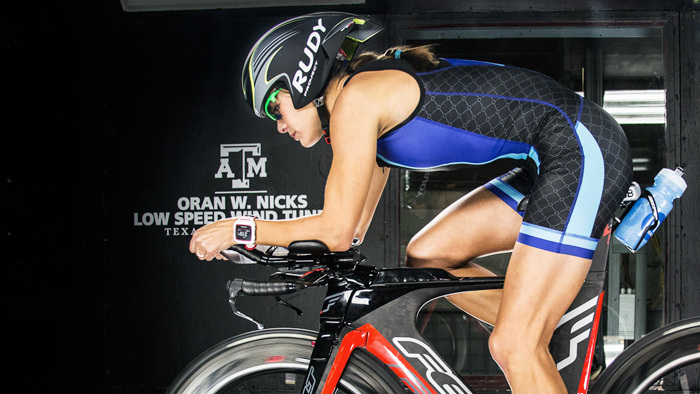 Using race data from training rides, Raleigh 70.3, and Buffalo Springs 70.3 the two were able to adjust drag settings so that her modeled average power and times closely matched the actuals. This allowed them to see where time was potentially lost due to improper pacing in sections. Because Barnett has her wind tunnel data for different wheel setups she and Matt have setup multiple bike options in BBS with the associated weight and aero differences applied. By running models for each bike setup they can determine the differences and what setup makes the most sense on race day based on the course and forecasted wind conditions. In addition to this she could judge whether to stick with regular butyl tubes or go with latex. The biggest question facing her for the championship race was what gearing to go with because of the long climb. Typically she rides with a 53×39 on the front and an 11×25 on the back. To help make a decision on gearing, a quick analysis was done using BBS race plan charts to determine power to speed relationship and calculating the gear ratio needed to keep a minimum cadence on the steepest parts of the climb. In the end, we decided to keep with a traditional 53×39 up front but run a 11×28 cassette on the back to keep a bit more comfortable on the climb but not give up the low end gearing. With the model dialed in Lauren has the confidence to trust the numbers and know that the power strategy and time estimates produced by the model are going to be very accurate. With races that don’t change very much from year to year she would add a new model using the weather conditions from the previous year to see how she would stack up on the bike compared to her competitors, but on a new course like this years 70.3 Championships, she takes a different approach. Looking at her fitness gains through the year and previous race efforts she targets a .88-.9 IF and/or a TSS value around 190. She knows these targets put her right at the limit where she can outbike many of her competitors but still run to her full potential. In a championship event she knows that there is no margin for error so this is where her experience and her coach’s expertise really come into play. BBS is the tool that lets them take that knowledge and quickly determine where that limit is for a specific course, where she can push more power to make the most gains and where she can relax even if it’s just for a fraction of the race. Part of refining the strategy is training specifically for the course and conditions. Barnett uses the ERG files (Power Targets) produced by BBS paired with an indoor trainer to simulate portions of the course. In the case of the World Championships, she specifically trained the power profile needed for the climb. This served three purposes. First, it helped get her legs and body used to the feeling of a slightly lower cadence and higher power output required for the roughly 30 min climb, atypical for most Triathlon bike legs. Second, and potentially more importantly, it gave her confidence that she can hit the numbers and execute the plan come race day. Finally it helped expose any power limits or matches to build into the model to fine tune the strategy. For Barnett, the race plan will be pretty straightforward, but by all means not easy. She has a goal Normalized Power target and some high end power limits on certain sections of the course. For this championship race she knows that her TSS target will be higher than normal and she is mentally prepared to take the suffering required to race alongside the best in the world. View Barnett’s BBS Power Plan for the 70.3 World Championships. Learn more about Best Bike Split.